Peter M. Tiersma was one of the nation's leading scholars of law and language. With a Ph.D. in linguistics and a J.D. from U.C. Berkeley, he authored numerous prominent books and articles exploring the relationship between words, linguistic media, meaning, and the workings of the law. Peter joined the Loyola Law School faculty in 1990 and held the Hon. William M. Byrne, Jr. Chair from 2009 until his passing in 2014. He was a beloved teacher, winning the Best Professor of the Year Award several times. He was a member of many illustrious organizations, including the Oxford University Press editorial board for the law and language series, and advisory panels for both Black’s Law Dictionary and the American Heritage Dictionary. 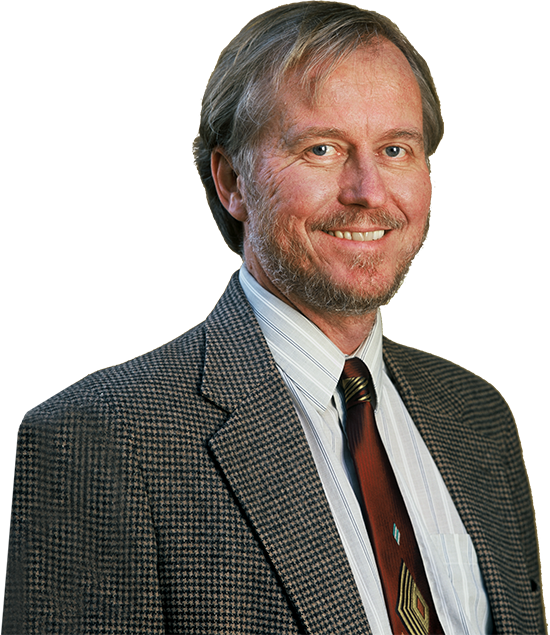 He also served on the California Judicial Council Advisory Committee on Criminal Jury Instructions, where he helped rewrite California’s jury instructions to make them more understandable and effective for jurors. He clerked for Justice Stanley Mosk of the California Supreme Court. Friday, April 1, 2016, 11:30 a.m. - 1:00 p.m.
Programme will begin at 12 noon. For those of you who could not attend, a video recording of the event is provided below. If you are having trouble viewing the video click here. 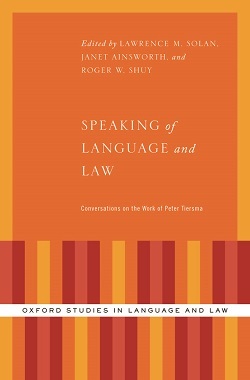 Oxford University Press has just released Speaking of Language and Law: Conversations on the Work of Peter Tiersma. This volume contains 12 of Peter Tiersma's most influential essays, with commentary and reflections from leading law and language scholars from around the world. Two editors of the volume--Professors Lawrence Solan and Janet Ainsworth--will be available at the tribute for book signing. Peter M. Tiersma was a collector and connoisseur of rare and important legal documents. He left his extraordinary collection to the William M. Rains Library at Loyola Law School. The library is making these documents publicly available online: click on the link below to view the collection. Guests at the tribute will be able to see the documents in person, including a page from the Nuremberg Chronicle ("the first illustrated book"), an Anno Regni Georgii III quarto, and the British Term Limits Act of 1714, from the 12th year of the reign of Queen Anne.